The 2018 Toyota Camry has been completely redesigned, and this new iteration commands the road like never before, with head turning design elements, potent performance and innovative technology features. Plus, Toyota places safety as a high priority, so you can count on state-of-the-art safety systems to back you on every drive. Unlock the possibilities on the road ahead with the new 2018 Toyota Camry. Contact our Toyota dealership near Providence, RI, and check out the brand-new sedan that has finally arrived in our showroom. The new athletic look of America’s best-selling car takes the 2018 Toyota Camry to a new level. Form meets function in the new design of the Camry. The sleek, lower profile increases the car’s aerodynamics and features the available dual-exhaust with quad chrome tips and available 19-inch black machined-finish alloy wheels provide the all-new Camry with a sense of flair. Available in four trims, the LE, XLE, SE and XSE, Camry fans can pick the model best suited for their lifestyle. Divers also have a choice of three powertrains, including a 3.5-liter V6 engine, a new 2.5-liter inline-4 engine and a Toyota Hybrid System, making it easy to prioritize power, efficiency, or a modern blend of the two. The interior of the new Camry is studded with accommodations and conveniences that elevate your experience behind the wheel. Designed with drivers in mind, features like the Human Machine Interface (HMI) provides a next-generation link between in-car technologies and you. The available 10-inch color Head-Up Display, 8-inch audio/navigation display and 7-inch multi-information display in the instrument cluster help to deliver a more seamless experience in the cabin. Aside from features that make every drive more enjoyable, the 2018 Camry is equipped with a variety of safety innovations that help protect you from harm. Every 2018 Camry comes standard with the Toyota Safety Sense™ P (TSS-P) suite of technologies. This includes Lane Departure Alert with Steering Assist, a Pre-Collision System with Pedestrian Detection, Full-Speed Range Dynamic Radar Cruise Control, and more. The newly redesigned 2018 Toyota Camry is ready to take on all of your drives with renewed vitality. 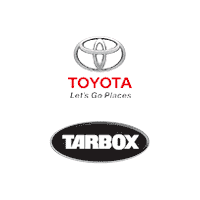 Come test-drive yours at Tarbox Toyota today!